The deadline to apply for an Annual Meeting fellowship is September 14, 2018. 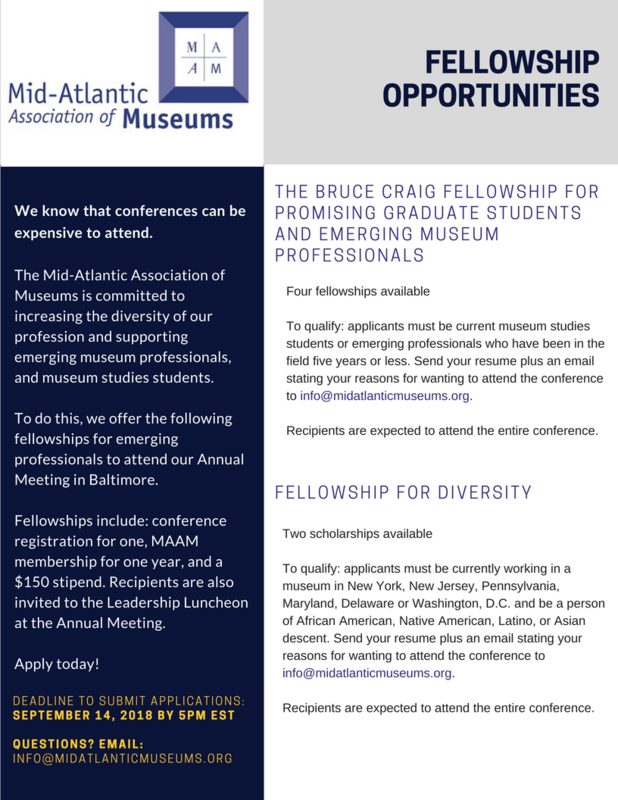 Applicants will be evaluated and selected by the Mid-Atlantic Association of Museums Fellowship Committee. Applicants will be notified via email if they have received a fellowship by the end of September.